Life comes from the Great, from the infinity, which has no a beginning and an ending. Life comes from an essence, but not from the small, but from the big. Scientists say that life has come from one small cell, and actually this cell is only a conductor of life in the way faucets are conductors of water. However, the faucet itself does not give water. Water comes from a totally another source. The cell is only a conductor of life, but an intelligent conductor. Some cells build the brain, others – the stomach, third ones – the lungs, forth ones -the nervous system, etc. They are excellent chemists. They know how to combine elements. They are smarter even than the one, in whom they are located. Man is considered to be a master of his body, and actually some of his servants know more than their master. The master should turn to God by the words: “God, I would like to know at least as much as my servants in my head know”. Man shall be a little more humble and admit that he does not know much. If his life does not go well, if his blood is not clean, what does man know? There is one rational matter in the world, which penetrates into all cells all over he body, of which we even do not imagine. Round this matter, which is rational, there is a rational power, which surrounds them both. That rational matter and that rational power surround externally all cells and penetrate through all smallest particles of our organisms. In human organism, there is one immortal cell – the original one, which everybody shall find. It is the ancestor of all cells. This original living cell distinguishes from the others by the fact that it contains horny substance in itself. The nourishing materials in it are more than in the other cells, and thanks to the horny substance, it differs with great stability. It can stand even the worst conditions. 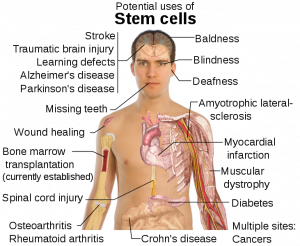 There are specific cells in the human body, which perform the duties of the best doctors. If we get ill and leave ourselves to those cells, they can cure us. They have a laboratory, where they prepare their medications and thanks to them they perfectly heal our wounds. Human organism is composed of approximately 60 trillion cells, which distinguish with great intelligence. All of these cells include in themselves qualities and abilities of creatures of a different culture and intelligence.